To read an online version of this article, click on the image. Does anyone else see the irony in these two signs being side by side? 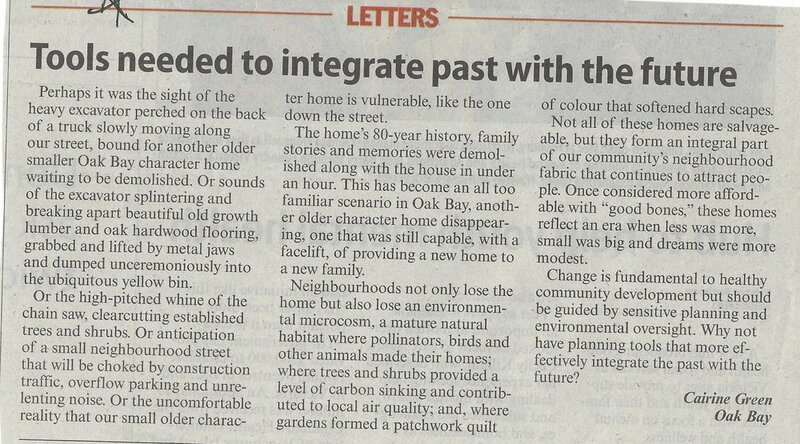 They epitomize the dilemma created by the lack of a housing strategy in Oak Bay. In Committed to Community, ConcernedCitizens Oak Bay, Oak Bay overdevelopment, Oak Bay United Church, Overdevelopment, Respect the neighbourhood, Strategic planning Tags Oak Bay United Church, Oak Bay United Church overdevelopment, Oak Bay United Church development, Respect the neighbourhood, Respect Oak Bay's history, Cairine Green, Cairine Green candidate, Oak Bay United Church Housing, No to this project., Yes to affordable housing.